Say your vows on beautiful Lake Pierce at the Florida FFA Leadership Training Center! You’ve dreamt of this day since you were a little girl and now it’s here – your wedding day. As you mull over the details that go into planning the perfect wedding, we invite you to consider the fabulous opportunities that we offer. From exquisite and extravagant wedding receptions to more intimate and casual rehearsal dinners, the Leadership Training Center has more than 15,000 square feet of event space to fit your every need. 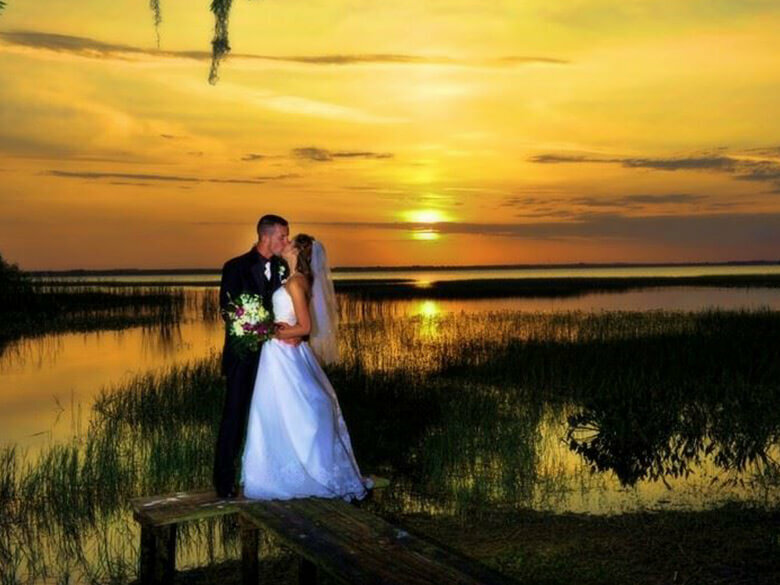 We accommodate wedding receptions anywhere from 20 to 250 people, and our unique location overlooking the gorgeous and pristine waters of Lake Pierce is the ideal setting for a Florida destination wedding. Plus, we have a tremendous chef and vendors who will ensure that your special day is unforgettable. 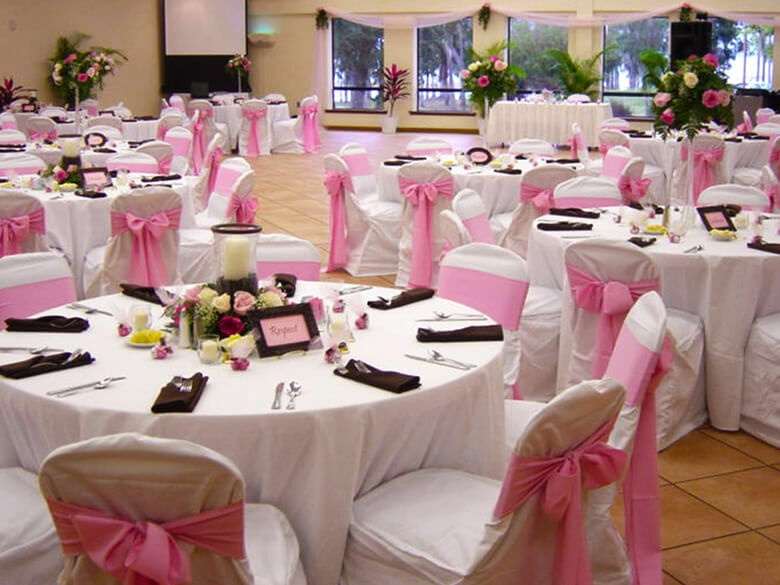 For brides wishing for a more traditional and elegant ambiance, our indoor space is ideal. 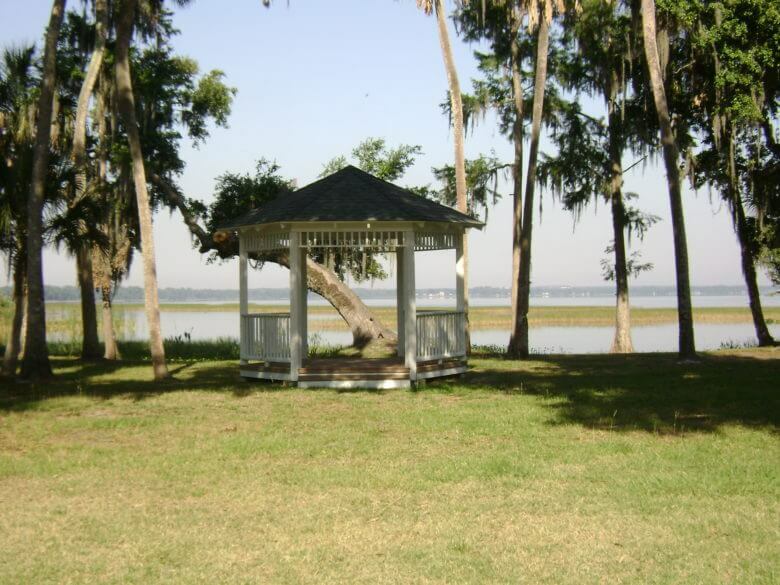 For a more relaxed yet romantic event, have an outdoor wedding ceremony and reception with our picturesque gazebo directly on Lake Pierce as the perfect backdrop. 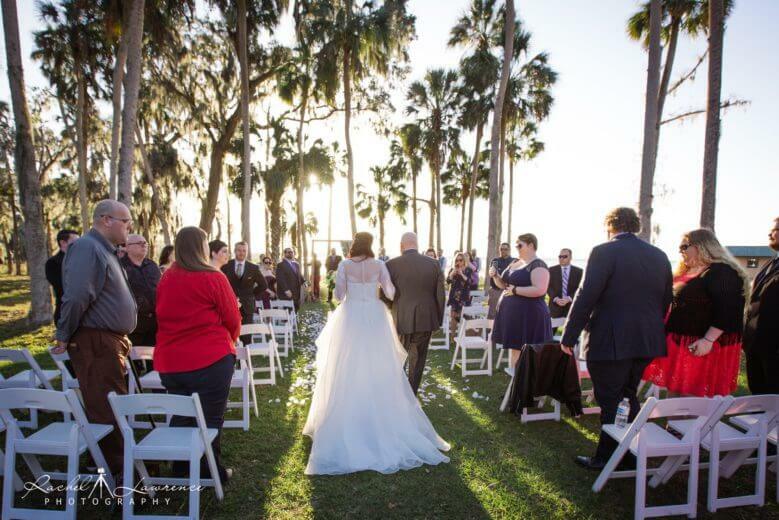 Come discover Florida’s intriguing “natural environment,” where you, your spouse-to-be, and all of your wedding guests can unwind, relax and enjoy the peaceful setting. Plus, there’s plenty of room to stretch out in our lodging options and amenities, so rest and relaxation will come hand in hand as you prepare for the big day. Our experienced and professional staff are on hand to make sure that every detail runs smoothly and pleases even the most discerning bride. Picture it: rows of white chairs with all your friends and family, a long grassy aisle, an accompanying band, and a delicious meal created by our chef, all framed around our gazebo or pavilion and expansive lawn where you exchange vows at last. At the Florida FFA Leadership Training Center, our staff and catering team prepares the wedding of your dreams in a relaxing outdoor setting unlike any other.